When choosing your new kitchen, it’s all too easy to get swept up in the more obvious aspects, such as the layout, the appliances and the overall look and feel. However, before you begin to buy, you may want to consider some of the other equally important aspects. Your choice of kitchen work top is just one of those decisions where you’ll need to do a spot of thinking. There is a massive choice in terms of materials and finishes, so where do you start? If you are trying to achieve a certain look, you may already have the type of material in mind. However, budget constraints may mean you simply can’t afford that lavish, luxury granite or marble worktop you’ve always been dreaming about. Laminate kitchen worktops are fast becoming the most popular selection for modern kitchens in the UK, but why should you choose this material over any other? For family kitchens where you might be preparing lunches, meals and snacks on a daily basis, laminate is the perfect choice of work top. It is extremely durable, highly resistant to scratches, cracks and stains and, if worst comes to the worst, it can be replaced cheaply. Compared to other types of material, laminate is one of the most hygienic kitchen worktops you can choose. With wood, there are natural grains to the surface, which, if left uncleaned, can harbour germs and allow bacteria to spread. But with a plastic laminate coating that completely seals an MDF core, laminate worktops won’t cause such problems. With a laminate kitchen worktop you can choose from a huge variety of colours and finishes. As a man-made material, laminate allows you to choose from an incredible range of colours and finishes. If you have a favourite colour scheme in mind, you can easily find a shade of work top that matches your palette. A standard finish requires little in the way of maintenance and will look great for years to come, but if you fancy something a little more…err…fancy, why not consider a gloss finish? You’ll need to treat it a little more carefully as it can stain more easily, but the additional labour might just be worthwhile, simply for its fantastic light-enhancing appearance. One of the best things about a laminate kitchen worktop is how little maintenance it requires. A simple wipe with a cheap household kitchen cleaner is all that’s needed to keep it nice and clean. You can achieve many different looks, like with wood effect or marble effect worktops, which, unlike their genuine counterparts, need very little looking after. Wooden worktops may need sanding down and oiling to keep them in tip top condition, whilst stone can chip easily. 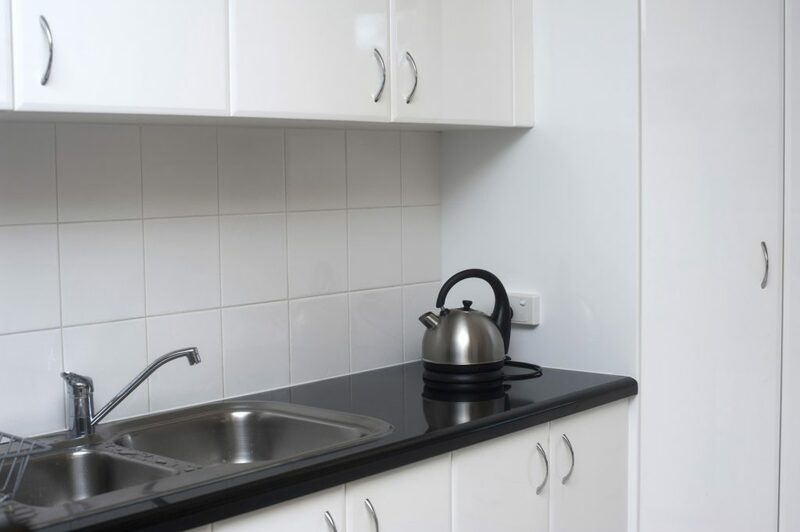 Now you know why laminate is so popular when it comes to kitchen worktops, perhaps it’s time to join the party with the wide range of laminate worktops on offer at HCSupplies.